An alternative to programming their own label printing system. NiceLabel Developer Series gives the user NiceLabel SDK, NiceLabel PocketSDK and NiceLabel WebSDK which are class libraries that give you access to more than 15 years of label design and printing development. 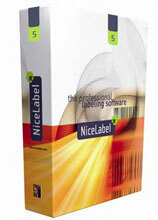 NiceLabel Developer Series includes a graphical designer which allows the user to quickly and efficiently perform layout changes or create new labels. It gives the user a full, reliable, and supported label printing class library to your application. NiceLabel Developer Series helps you connect directly to over 1800 thermal printer models, as well as support newly developed thermal and other printers as soon as they"re released on the market.